We’re not sure if you had as much rain as we’ve had here in the valley of Bluff Mountain the last couple of weeks but our cucumbers, summer squash and zucchini aren’t too happy. We hope that they recover, otherwise we may not be able to include these summer staples in your share for the remainder of the season. Perhaps we’ll be harvesting winter squash in the next couple weeks so these can be cured for your shares. The weather cleared up so we were able to transplant another succession of greens, seed another succession of lettuce and beets. Of course, another groundhog has discovered our fall greens so it is our hope to evict that groundhog off the farm before the greens are completely devoured. Baby Bok Choi (Mei Qing Choi) is back again!!! This chinese cabbage is high in both Vitamins A and C. We enjoy it sautÃ©ed, steamed, or even roasted. 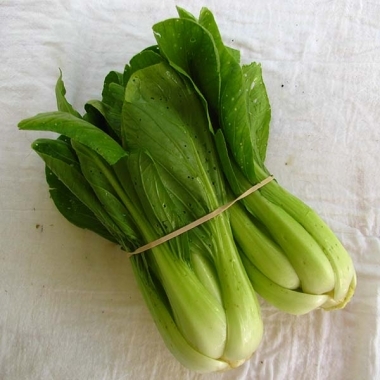 Popular among CSA Shareholders is this Simple Bok Choy Salad so easy yet DELICIOUS! Another favorite is this vegan Bok Choi Salad that is served as the main course of our meal! Folks who are trying to sneak greens into their childrens (or adults) diet find egg foo yung mighty tasty! Like so many veggies, it is great roasted or grilled. MORE POTATOES!!! We had a crop failure with our Red Gold potatoes in that they didn’t yield, and while we haven’t yet dug the entire bed of these potatoes, based on the few feet of Satina Potatoes we dug, they look to have yielded better than the Red Golds. We made potato leek soup with those that we harvested. The satiny yellow skin and yellow flesh of these oval-round tubers make for an exceptional eating experience! If we could only grow one potato Satina would be it! 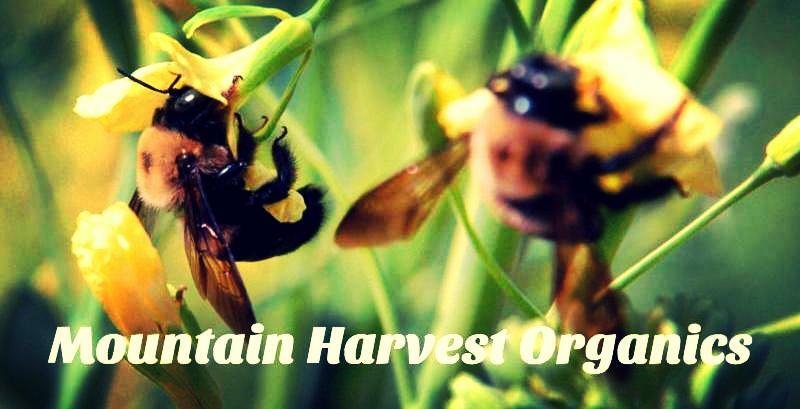 They are very similar to Yukon Golds but better adapted to growing here in the Appalachians. They are perfect for mashed potatoes (we donâ€™t peel them). They make gorgeous fries (we donâ€™t peel the potatoes) and baked potato chips. So tasty for roasting, for baked wedges and German potato salad! 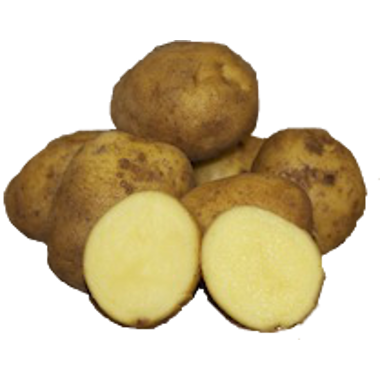 When roasting, we love mixing this potato with German Butterball and Adirondack Red for the color combination as well as for variations of flavor and textures. While we scrub our potatoes, and cut the spots out, we nearly always leave the skins on. CANDY ONIONS are coming off the storage racks!!! Candy is a yellow bulbing onion, which are very sweet like Vidalia onions, so eat them fresh on sandwiches and salads! These onions are amazing caramelized, and even though we harvest them at the beginning of summer, we traditionally make French Onion Soup in honor of our harvest because it is delicious! We also love making an onion chutney that we eat with naan. This recipe for caramelized onion chutney you should be able to make with ingredients right from your pantry. Each season we make a few batches of vegetable tempura that is excellent with Candy onions. 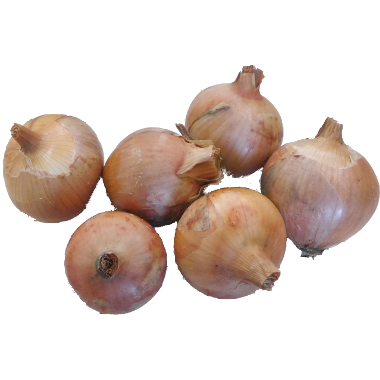 Savor has a list of 50 recipes that use onions so be sure to stock up on these while they are in season! 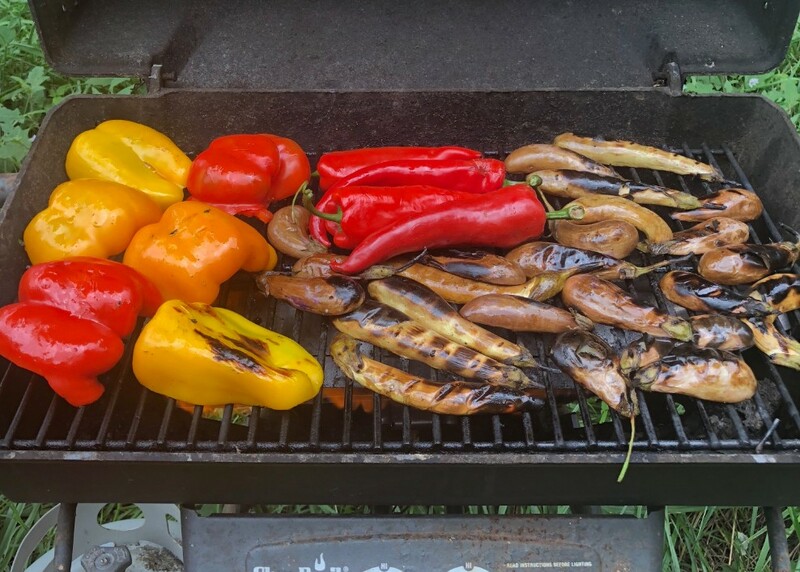 We’re loving the convenience of our propane grill these days, because while it may not be convenient for us to use our pepper roaster for roasting a batch of peppers, we can simply slice the bells in half, brush them with olive oil/salt/pepper, then grill. Even though they are extremely sweet raw, the heat seems to intensify their sweetness. Once we have potatoes in storage, which we hope to do after today, we love including them in nearly everything we make. 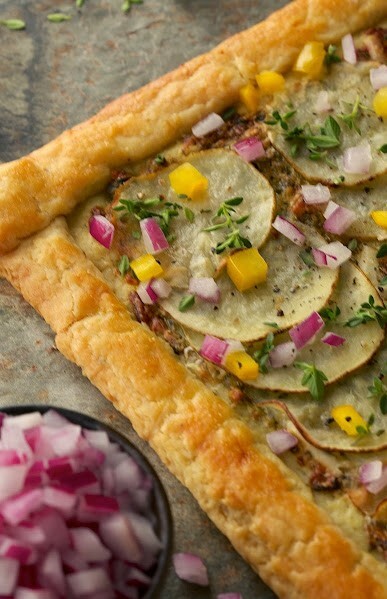 Above is a potato, pepper and onion tart that can easily be made by purchasing a pie dough at the grocery. While we love to make our pie dough with butter and lard, and while for many it doesn’t seem healthy, a lot of press has been published recently in that these fats may be great for your brain and health. Lettuce: Tropicana is a great summer green because this lettuce is great for salads or wraps! There is nothing like slicing the veggies from your share and eating them in wraps. We may need to substitute Oak Leaf for some shares depending on the quantity harvested. Sweet Bell Peppers. These can be sliced and dipped in hummus or frozen for omelettes during the winter. Parsley: This parsley is flavorful so use in soups or salads!! We like to use this in tomato and basil salad. Onions: Mix of candy and red bulb onions for your salads. These onions have just been gathered from the curing racks so are extremely sweet so you may want to eat these like an apple. Potatoes: Satinas that are like Yukon Golds. Fresh potatoes may take a little longer to roast than those that have been stored. Eggplant: These are amazing grilled or roasted in the oven! Baby Bok Choy : We’re excited about this green! If you haven’t done so, consider simply slicing it up for a salad. Chorizo Sausage: Stuffed Peppers with chorizo is AMAZING! 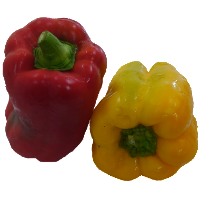 You may want to order baby bell peppers if you plan on stuffing peppers with this tasty sausage. A description of this sausage can be found in our online store. All photographs have been contributed by John Hatcher. We’re so fortunate to have an incredibly supportive community!!! Last week we hosted the Dalton’s grandchild and her friends. We can’t thank ya’ll enough for supporting us in purchasing the food we’ve so carefully grown AND for booking our accommodations for your relatives!!! Maxine, Jack and their Grandchild Maxine had their time completely booked with hikes and adventures here in these beautiful mountains. This was great, because during their stay we were able to do farm work, mostly getting additional fall crops planted. This made us think that we need to have an itinerary for guests staying on the farm. While we know that many of the other accommodations in our area provide this service, we haven’t yet taken the time to prioritize this. 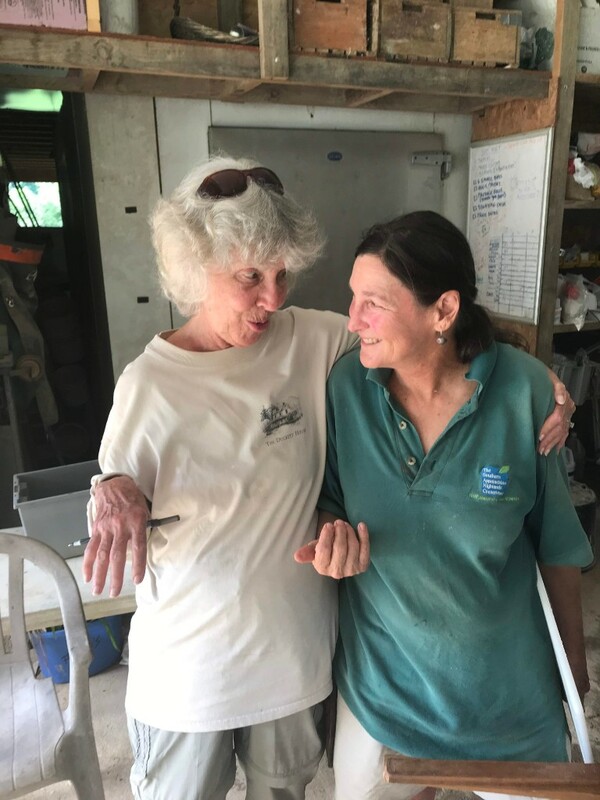 What was most inspiring about hosting the Daltons’ grandchildren and friends, is meeting your hero’s grandchild, and admiring young Maxine’s love for the outdoors, the mountains, art and sustainable agriculture. Knowing that that she definitely lives up to her namesake and that one day she will be helping to form our environmental policies. Also knowing that her love for nature is going to have an impact on her friends and others who cross her path along her journey through life. 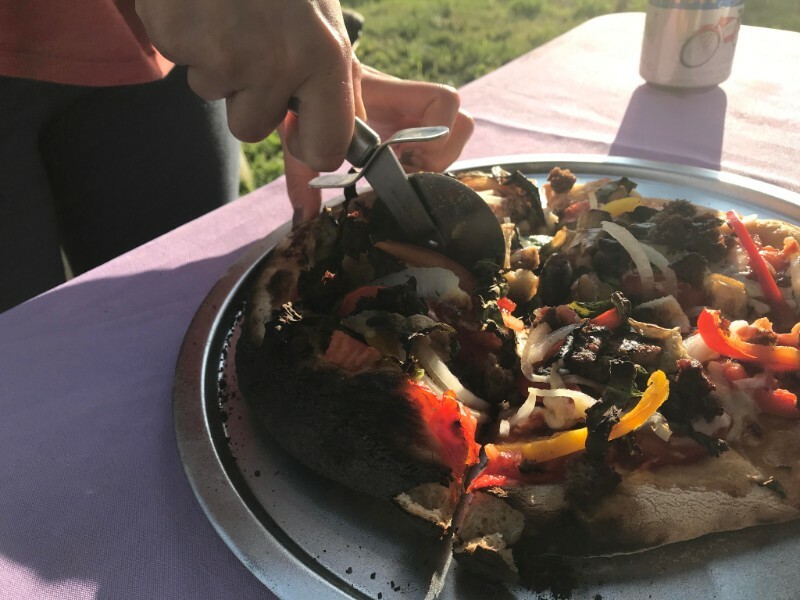 We are proud to have offered the Dalton clan Field to Table wood fired pizzas. 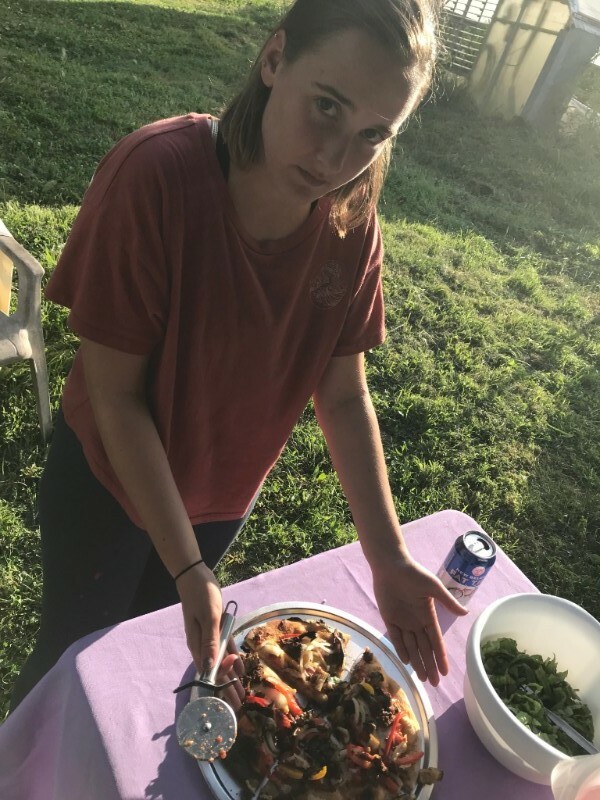 What we noticed was that young Maxine LOVES VEGETABLES as you can see by all the veggies she so carefully selected for her pizza!!! As can be seen from the pizza toppings, it is pepper, basil and onion season here on the farm!!! Maxine’s friend mentioned that her favorite Pizza topping is pineapple, so now Farmer Julie is considering growing a couple pineapples in our greenhouse. We’re not quite sure if our season is long enough for these to mature and sweeten up, but we farmers are always up for a new challenge!! !